Since there is no Lone Genius, there must have been no Newton. And, obviously, no one should ever hire anyone like Newton. It isn't that everything Beth suggests is wrong. But consider how Newton contradicts this popular, conventional Whiz-Dumb. By her standards, one of the greatest, most innovative minds of all time should have been avoided by employers! I don't know if Newton -- or for that matter, the very notion of the Lone Genius -- is romantic. Maybe the hacker soul isn't compatible with grokking that idea, but I know for certain that Newton was a complete and total lone genius. Experience and research about Newton indicate that his lasting success -- namely, in laying the foundations of modern physics -- resulted not a whit from any collaboration or teamwork. 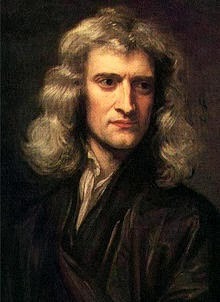 Newton never had any collaborator or competitor who drove him anywhere -- other than, perhaps, crazy. In fact, his competitions with Robert Hook had nothing but a negative effect on him and resulted in a reluctance to publish which only hampered the development of Science. He almost didn't publish his creation of the Calculus because of his competitive experiences. Plenty of innovation resulted from this loner: The Calculus. The Physical Science of Mechanics. The Physics of Light. Seems like he'd be pretty useful in a startup. Seems like a man with a biography called "Never At Rest," might have had a decent work ethic. 1) The fish out of water. Newton, the Loner, was the ultimate fish out of water. 2) Someone who can FIO (Figure It Out). Again, this non-team-player was the ultimate in FIO, fortitude and creativity. This is an employee who couldn't figure out the Mechanics of The Celestial Universe, so he invented Calculus as a tool. That sounds like the paradigm case of FIO! BTW, I would never hire anyone who worked for the Peace Corps. 3) Candidates with design training. Newton learned tool-making and doll-house miniature building, as a child. Seems to me like design training. Again, these aren't team sports. 4) The well-balanced player. I doubt if Newton would be characterized as well-balanced, but he certainly balanced his equations! He mastered Calculus balancing it with Physics, as well as Alchemy/Chemistry and Religion. And on the business side he superlatively managed and led the Mint in the project of the complete recoinage of England. Pretty good business administration for a lone genius who never had a friend. TheHackerCIO hates it when people denigrate the lone genius. Genius of any variety must be celebrated. Hired. Encouraged. If only we could find plenty of these loners/geniuses. I'd hire every damn one! And he hates it when people worship the false god of teamwork. I hate prejudice against single player sports, too. Tennis is one-on-one competition. That doesn't teach life lessons? What about the lessons of Golf, where you can play against EVERYONE, including yourself! Now there's a model for corporate emulation!!! Why is it that while everyone loves innovation, they hate the lone innovator?